Parable - Creativity is widening the range of choices. 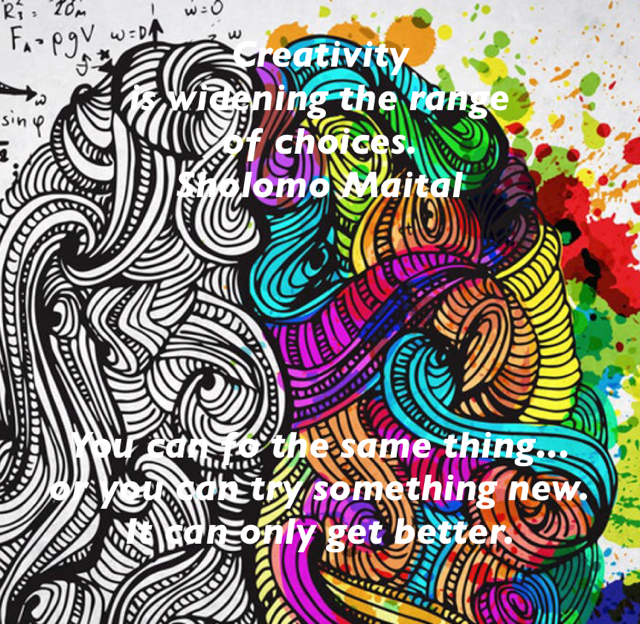 Sholomo Maital You can fo the same thing... or you can try something new. It can only get better.